A few days after turning 29, it suddenly hit me that what I had just celebrated was my last ever birthday in my 20s and that, in less than a year, I would be hitting the big 3-0 still childless, unmarried and with no real idea of where my life is going. After panicking/feeling sorry for myself for a while, I decided I needed to set myself a challenge so that, when the evil birthday did arrive, I would be able to feel like I’d actually achieved something. And so the idea of visiting 30 German towns before my 30th birthday was born. The rules, according to me (and it’s my challenge so what I say goes), are that I can include places I have been in the past, but only if I have actual photographic evidence of them and can remember enough of what I did there to be able to write a blog post about my trip. This was mainly to exclude the places I visited while on a tour of Europe with my grandparents, aged 17, which did include Germany but two weeks of visiting various places for at most a day (and in the majority of cases only for a few hours) means I have no idea of what I saw where and can’t even remember which places we went to (other than Berlin, Cologne and Hameln). To count towards the challenge, each place has to be mentioned in a blog post, so expect a few flashback posts before August! I also went to the following places in Germany before I turned 30, but wasn’t able to include them in the series, either because I had no (or not enough) photos or because I went to one specific place there – such as the zoo – so I didn’t actually see anything of the town itself. 2. Göttingen – The first time I went to Göttingen, it was because the train Jan and I were supposed to change onto had already left, so we decided to go Christmas shopping and take a later train to his dad’s place. I’ve since been there two more times – for a seminar and for a christening – but didn’t take photos on either occasion. 4. Cologne – Twice with my school German exchange, once on a trip with university and then once more in 2009 for a seminar. Sadly, I have next to no photos. 5. Speyer – Another trip with the international club during my year abroad. I have no idea where the photos from this trip have got to – probably on a CD somewhere at my dad’s. 7. Reutlingen – For a job interview. Needless to say, I didn’t take any photos. From what little I saw it seemed like a nice town though. 8. Ludwigshafen – Jan and I went to the Ebert Park for an English picnic, and I also went there on several occasions for work. Not a pretty town, but the park was quite nice. 9. Landau – I’ve stopped here for a meal twice, either on the way to or back from another place, but I’ve yet to “properly” visit the town. 10. 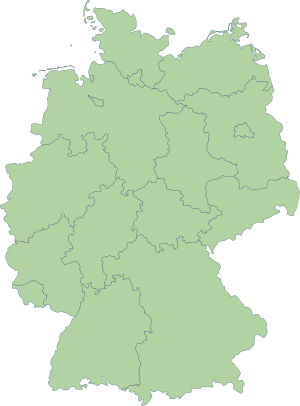 Germersheim – For the university’s summer fest. I went because an ex-colleague who now lives in Luxembourg was visiting and planned on being there. I’ve seen the university and the route from there to the train station. 12. Stuttgart – Every time I went here, it was either for Canstatter Wasen or the Frühlingsfest (both are like smaller versions of Oktoberfest). On one occasion, we decided to have a look at the town as well. I took precisely two photos… because there was literally nothing else worth taking a photo of. Probably my least favourite place in Germany. 13. Ludwigsburg – But only the castle gardens! We stopped there on the way back from somewhere else and spent at least an hour wandering through the huge gardens behind the palace, which included both an aviary and a “fairytale forest”. I saw literally nothing of the rest of Ludwigsburg though! Cool idea~ Very excited to see that you went to both Mainz and Frankfurt as I will be moving there soon hehe. Do you remember anything about the neighboring city of Wiesbaden if you happened to cross it? I’ve never been to Wiesbaden, unfortunately. I do know it’s the capital of Hessen though (everyone thinks Frankfurt is, but they’re wrong!). I am probably going to steal this idea. Except I am already 30. So it may have to be 35 before 35, hope that’s ok?! Great list! But definitely put Dresden on there, too, it’s worth a visit. Actually, the whole region is beautiful with Poland and Czech Republic just round the corner 🙂 I like your Switzerland posts, they’re a real shocker when it comes to prices. I had no idea it’s that expensive. I’ve considered moving there myself so looking forward to to exploring the country with all its quirks, ups and downs! I would love to go to Dresden. One day I will make it. You should totally add Regensburg to your list! Heidelberg is amazing! I studied abroad there for a year in college! This list is finished now – I turned 30 nearly 2 years ago – but I would definitely like to go to Regensburg some day.